I simply can not believe this is the last weekend of August. Where has the summer gone? Here in New England the weather pattern has shifted right on cue and the nights are already getting cooler. Geese are gathering on the water. Labor Day weekend and the Harvest Moon are both only a week away. Sigh. Soon it will be autumn. But wait! Not yet, not yet! Oh Summer, please don’t go so fast. Can’t we find a way to slow it down and squeeze just a little bit more pleasure from this sweetest of seasons? Summer is a time for friends. Go on now, call them out and gather them up. Fluff up your hammock and reposition the lawn chairs. Drag the old cooler and blankets back to the beach. Fire up the grill, mix some drinks and turn up the music. Think of the things and the people that you will miss come winter, and enjoy them while you still can. Take a favorite summertime cocktail for example. Over the past few years, I have come to associate August with barbeques on patios, visiting seasonal neighbors and the cool, refreshing taste of Cuban Mint Juleps. In fact, hot summer nights and Cuban Mint Juleps have practically become synonymous with grilling and good company around here. And you know, there is a special summer story to my favorite cocktail. Impossible though it may be for me to imagine summer without this delightfully minty drink, I haven’t always known about the Cuban Mint Julep. I owe this great pleasure, among many others, to my good friend Mel. I met Mel late one summer a few years back, through a mutual acquaintance. This friend-in-common, a great guy named Travis, noted that Mel and I have many shared interests. He mentioned that we might just make good friends. At the time, Mel and her husband Pete had just purchased a house a few towns north of mine, and she was looking for some help with the gardens. So, I went over to check things out. I was taken with the old place immediately, and although it needed work, I thought it was really charming. But as Travis suspected, the thing I liked best was Mel herself. She was straightforward and open, relaxed but steady. She wanted someone to help renovate the old garden, saving as many of the existing plants as possible while creating a new design. I took the job and soon a friendship blossomed between the overgrown shrubs and tangled vines. We spent a lot of time working together the first couple of years. There were plants to move, decisions to make, contractors to hire, rocks to haul and shrubs to prune. And there was weeding to do. There was lots of weeding. You really get to know someone when you work side by side with them for a time. Fortunately, as it turns out, our friend Travis was right. Our personalities were a very good mix. Late one sultry summer afternoon, after we had been working all day pulling weeds in the hot sun, Mel asked me if I would like something to drink. Then she grabbed a bunch of mint from the garden and disappeared into the kitchen. When she emerged from the vestibule a few minutes later, all rosy cheeks and curls in a 50’s style apron, my friend was holding two frosty glasses filled with ice and a greenish- gold fluid. “What could this be?”, I wondered out loud. “It’s a Cuban Mint Julep”, she replied, handing me a glass. I had never heard of such a thing. But I do love a surprise, and so I sat down beside her and I had myself a drink. Well, Hoo-Wee. That was some cocktail. I must have been muttering in disbelief, because she told me again that it was a Cuban Mint Julep, but I still couldn’t believe my ears. I thought all juleps were made with sticky-sweet syrup and gin, and I am not a fan of gin. In fact I am more of a champagne or summer-sangria kind-of-gal. But this drink was different. It’s actually a lot like a mojito, only more interesting because it’s made with golden rum instead of the traditional white, (far richer and sweeter), and much more fresh peppermint. And Mel makes the old-style Cuban Mint Julep sans the mojito’s sparkling water. I like the taste much better. Sparkling water tends to dilute the delightful flavors of this classic summer cocktail. And so, as we sipped our drinks in the garden that afternoon, the conversation slowly turned from weeds and flowers to art and chocolate; and from scuba diving to flying; and from quirky rattle-snake shooting relatives to long-lost and better-off-without-’em loves. We laughed and watched the daylight fade to violet over those Cuban Mint Juleps as the twilight settled in. I will never forget that summer night. It was the night we really became friends. I have met some interesting characters and some really good people through my work as a gardener. But this friendship stands out. It is real. Do you know someone you can spend hours with because they are just plain easy to be around? My friend Mel is like that. She is more than fun, she is good company. She asks great questions and she really listens to your answers. Mel is smart and talented and clever. She is also a great cook – and she makes a fabulous summer cocktail. I am lucky to know her. Some friendships are just meant to be, like hot summer nights and cold drinks. Here’s to holding on to Summer…. Put the sugar, lime juice and mint leaves at the bottom of a heavy based 6 oz Old-fashioned glass, or 8-10 oz highball if you are adding sparkling water or want more ice. 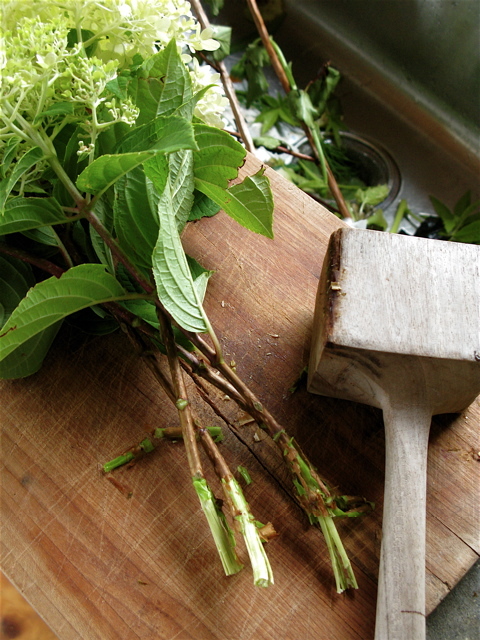 Muddle with a wooden muddler or handle end of a wooden spoon. It is important to muddle the ingredients thoroughly, in a circular motion, to release the mint oils into the lime juice. Add 2 oz of rum, toss in a couple of squeezed wedges and stir. Fill glass with cracked ice and stir again thoroughly. 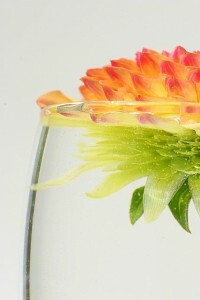 If using larger glass and adding sparkling water, add water and stir. * A note on limes: Look for a fresh lime with pale green skin. Limes with dark skin tend to be less juicy. You want at least 1 1/2 -2 oz of fresh, sweet lime juice. Roll the limes between your palm and the counter before slicing in half. And to get the maximum juice, use a hand-juicer. I often recycle my old wicker laundry baskets for weeding chores. Not only are they inexpensive, lightweight and easy to move in and out of tight spots, but once they begin to fall apart, I can just break them up and add them to the compost pile! As I sat down to write this article, I got a bit worried. It occurred to me that some inaccurate conclusions might be drawn from the working title. You might even think I am some kind of Martha (And we all know that I love Martha Stewart, but I’m no where near as tidy and organized –especially in the garden!). So before I get rambling, I want to make a few things clear. I do not regularly meditate, nor do I practice Zen. And I must confess that my garden is most definitely not an organized, tidy, weed-free zone. In fact it’s far from that ideal. You will probably find a bit of crab grass in the walk, some jewelweed in my shade garden, and you will definitely spot plantain in my lawn. 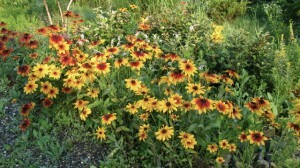 And right about now, the weeds in my perennial borders rival the flowers (OK, so I exaggerate, but you get the picture). So in case you were worried that I might start judging you, smugly preaching across the electro-static divide with my Cape Cod weeder held high… Well forget about it! I garden for a living, and this means I spend a great deal of time weeding my clients’ yards. So when I get home on a hot summer afternoon, I am no slave to my own. Of course this doesn’t mean that I allow my gardens to go wild. No, I would never let the scale tip too far in that direction. And no, this doesn’t mean I dislike weeding. But it does mean that I understand the average gardener very well. I’m one of you. We get busy. Things slide. 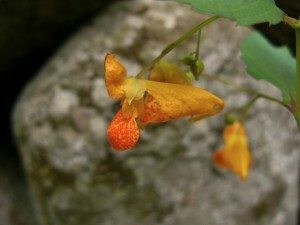 Spotted orange jewelweed (Impatiens capensis) in the Secret Garden. This is a hummingbird favorite. But I prefer it in the woods, not in my flower garden. Weeding is a chore to most people. My design clients are always telling me that they haven’t the time for weeding, and I am constantly asked to create “no maintenance gardens” (if anyone has seen one, please let me know). And to tell the truth, I used to hate weeding. Really, I did. I found it boring, hot and tedious. But that was before I learned to time my weeding correctly and to truly give myself to the task. Now, once I start, I actually love the process of cleaning up my garden. Somewhere along the line, I suppose it dawned on me that gardening is weeding. Eventually, if you like to garden, you figure this out. And once you do, you “give” yourself to the process and let go of the product. 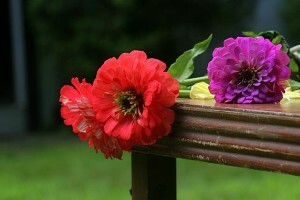 The result of this surrender is usually a better maintained garden and a happier gardener. There is a Zen to weeding. In fact there is a Zen to all non-intellectual tasks, or ‘busy-work’ as some call it. Many people have a favorite ‘mindless’ task. Some of my friends love to do dishes by hand; calmed the circular motion of the sponge against the plate and the warm, soapy water. Others enjoy the drone of the vacuum cleaner and the back and forth motion on the floor. Repetition. There is freedom for the mind in physical repetition. These days, I get some of my best ideas while weeding. As my mind slowly clears of day to day thoughts, things pop-up from my proverbial “back-burner”. I might remember my friend’s birthday, and think of a clever gift. Ideas for difficult design projects will suddenly spring to mind. With my front burners turned off, away from mental distractions, the back burner cooks. And then, slowly, something even more amazing happens. On my best days, my mind quiets to a whisper, and then becomes silent. Thoughts disappear and I simply become my hand, pulling weeds from the soil. If you have ever experienced this kind of “working meditation”, you know exactly what I mean, and how liberating it feels. Some people call this “the zone”. It happens when I am running. It happens when I am cleaning. And it happens when I am weeding. When I find myself in this magical state, I finish my garden chores in the most relaxed mood you can imagine. It’s great therapy, and I get a tidy garden as a bonus. Nothing clears my mind and relaxes my mood quite like the repetitive motion involved in pulling weeds. 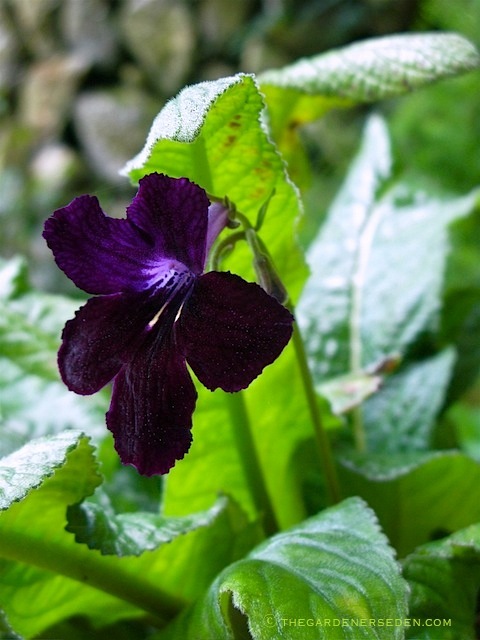 If you are new to gardening, you may not be familiar with “weeding bliss”, in fact right about now you may be thinking, ‘this woman has really slipped off the raft’. I can understand that. I used to feel the same way about weeding. And lest you start to think of me as some kind of monk, I want to be honest; there are days when the bugs and the heat are so distracting that I become far more irritated than illuminated. But nothing is perfect. And weeding is a practice. It’s something you can get good at and learn to like over time. Arming yourself with some basic tools will help make weeding physically easier, and staying on top of the weeds will keep the task manageable. Every gardener ought to own a Cape Cod weeder, 3 tine cultivator, and a dandelion tool for hand weeding. 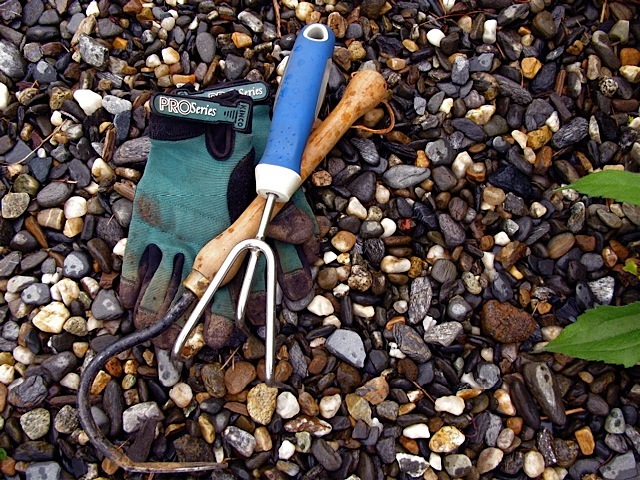 A good hoe is necessary for the vegetable garden, and a standing cultivator (or claw), is great for large borders with deep-rooted perennials and shallow weeds. Make time to really learn how to use your tools. If you have never been taught how to properly hoe, ask a more experienced gardener to give you a lesson. Everyone starts somewhere, after all. And remember to take care of your body. 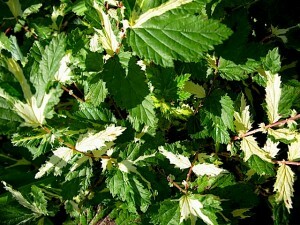 Protecting your hands from thorns, stinging nettles and rough plants also makes a lot of sense. If you are uncomfortable, you will likely give up quickly. I try to apply moisturizer to my hands before I start working, and I wear durable, water-proof gloves. I like Womanswork brand gloves for everyday weeding chores, leather gloves for bramble-infested gardens, and Cool Mud for the really wet places. I always keep an extra set in my tote in case my gloves are soaked through or tear. And I protect my body with long sleeved shirts and pants as well. Bugs are always a problem here, and if you would like a few tips on dealing with them, check out my June post, ‘ Hey, BUG OFF! ‘. Remember to wear sunscreen anytime you are outdoors, and try a light-weight, wide brimmed hat to shade your head. 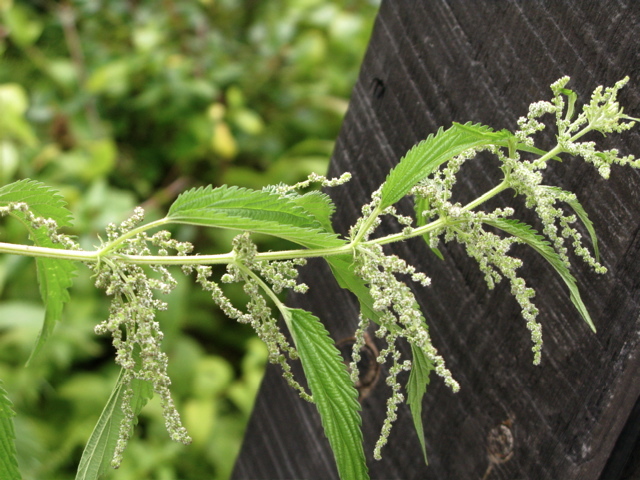 Stinging nettle (Urtica dioica) is best handled with gloves. Once exposed to heat, it’s actually a fine, gourmet edible! 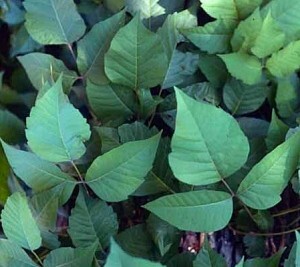 This is poison ivy, and you really want to avoid it altogether ! 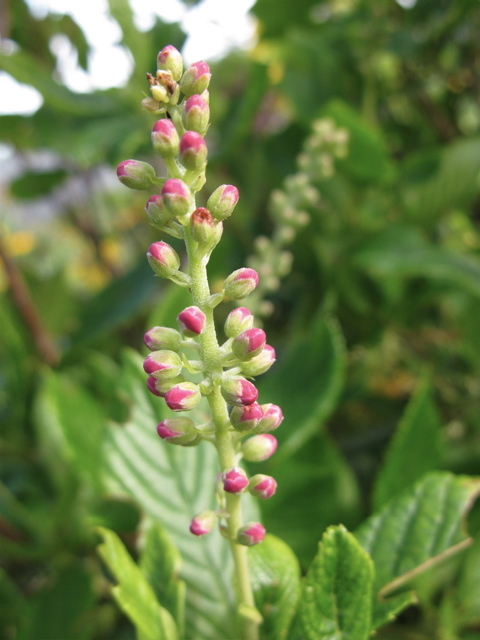 Of course, in order to start weeding, you have to know the difference between a weed and a desirable garden plant. So if you are just starting out, or returning to gardening, you may ask, ‘what exactly is a weed and how do I tell the difference’? 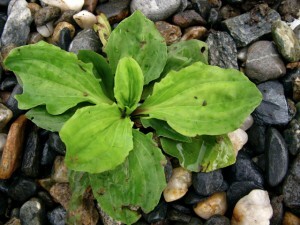 Well, if you want to get technical about it, a weed is just a plant, (any plant), growing where it is unwelcome. Some North American gardeners loathe goldenrod (Solidago), and others welcome it as a native plant. 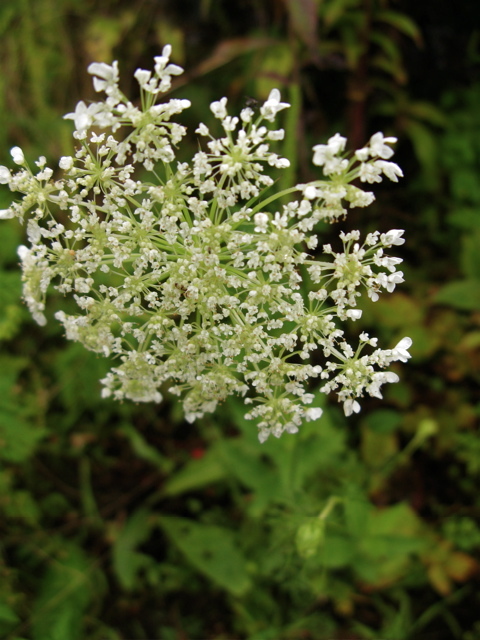 To me, Queen Anne’s Lace is a beautiful flower in my meadow garden, and yet it crowds out vegetable seedlings in the potager, so there I consider it a weed. White clover makes a fantastic ground cover and lawn-substitute (and is a favorite food source of the honey bee), but when I see it popping up in my ornamental ground-cover and perennial borders, it gets a quick heave-ho. Likewise, I try to allow stands of jewelweed, in the wild parts of my property. Some more conventional gardeners may gasp in horror, but jewelweed is a delight to hummingbirds and honey bees, and an important food source. Keep in mind that many native plants (aka ‘weeds’), are part of our natural ecosystem. 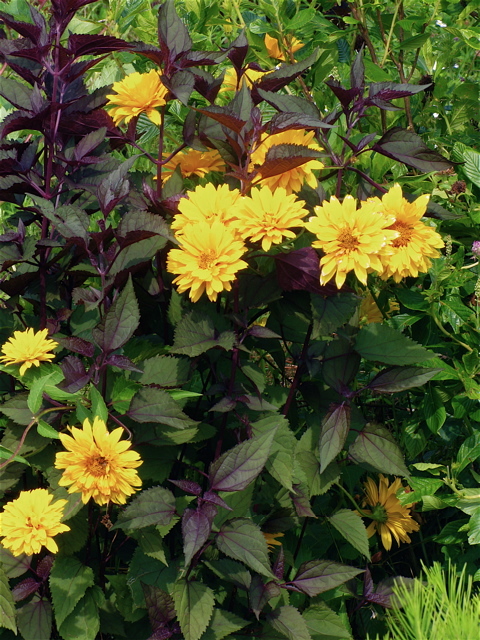 Removing weeds from your vegetable plot and perennial borders makes sense, of course. But keeping some natural areas is important to birds, butterflies and bees, if you can find the space. Queen Anne’s Lace (Daucus carota) is a biennial and spreads by seed. It’s great for attracting beneficial insects around the edges of a garden, or in a meadow. If you want to get really good at weed identification, keeping a reference book handy while you are working will really help. Try tossing one in your garden tote with a few tools. For the Northeast, I like the paperback, Weeds of the Northeast, by Uva, Neal and DiTomaso from Cornell University Press. The book covers North American regions including southern Canada, and points from Wisconsin eastward and Virginia northward. In fact, many of the weed identification charts would be helpful beyond these geographical parameters. For the west, Weeds of the West comes highly recommended and for the Great Plains states, Weeds of the Great Plains is available from the Nebraska Dept. of Agriculture. 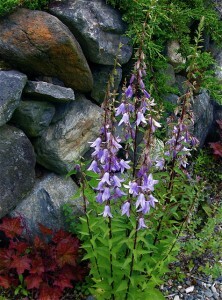 I picked up Weeds of the Northeast last year in response to an increased number of questions from my garden clients. 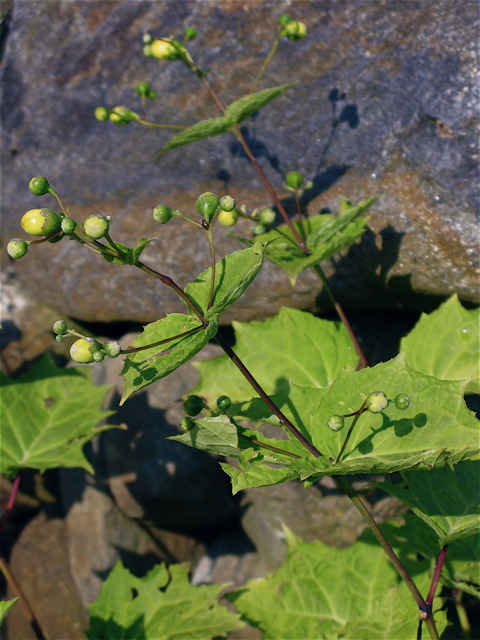 Although I can identify most weeds, I do get stumped now and again, and I often have trouble remembering all of the common and latin names (I have more than enough desirable plants in my gray-matter database to worry about). When I remember to put in in my pack, this reference book makes a great educational tool. In addition to identification, this book will help you learn the difference between annual and perennial weeds. If you catch annual weeds before they set seed, you will save yourself some work down the line. And as far as perennial weeds are concerned, you will need to take extra care in removing all of the roots, as well as any seeds. So, it’s good to know the difference. White clover (Trifolium repens), a perennial, here invading ground-cover ajuga. 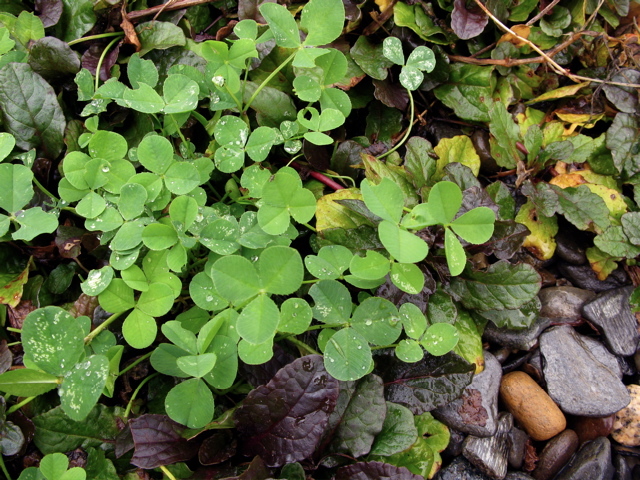 Clover is an important food source for bees. It makes a fine ground cover in relaxed areas, however you have to keep it in check or it will invadeyour beds & borders. Large crabgrass (Digitaria sanguinalis), is a summer annual, it spreads by seed. 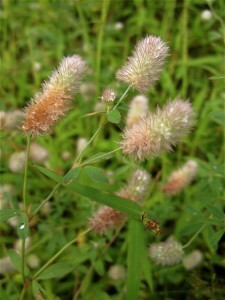 This weed is common in lawns. I allow it to grow at the edges of my garden, because I enjoy seeing wild turkey, and they come to my meadow for the seed. 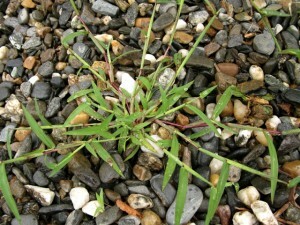 Broadleaf plantain (Plantago major), shown in my walkway, is also a common, perennial turf weed. This is handy to have around in the event of a bee sting. 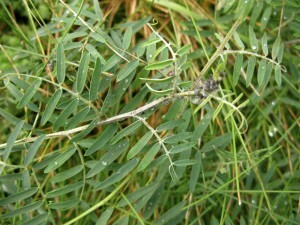 Just chew the leaves into a pulp and apply it directly to the sting. You should feel some relief in a few minutes. 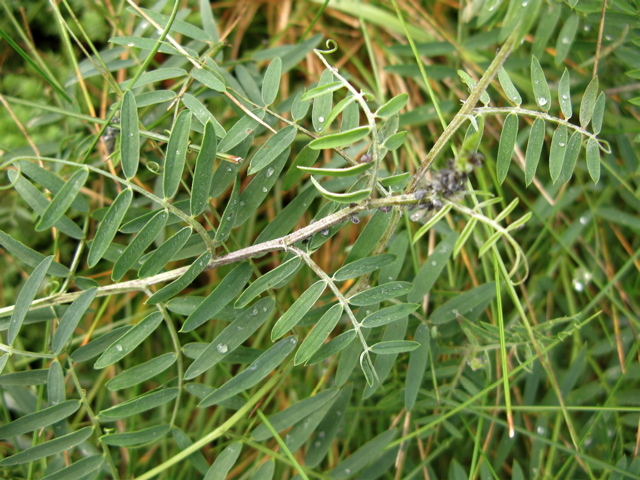 Vetch (Vicia cracca), is a perennial and spreads aggressively via rhizomes. 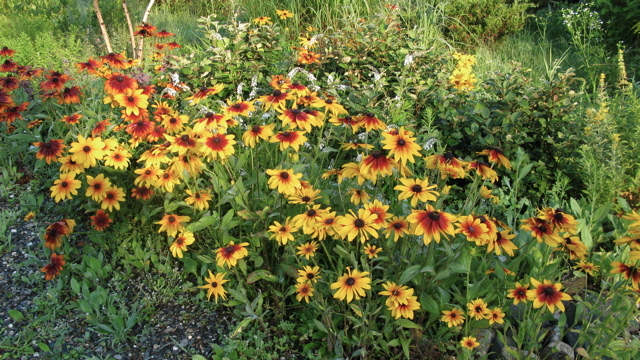 This one is tough to fight, and not something you want in a perennial border. 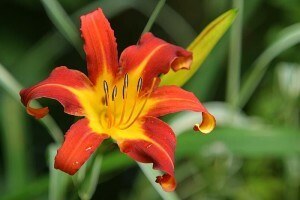 However, bees and butterflies love the flowers. Plant this on a slope and it will attract beneficials and prevent erosion. Some tricks to weeding are learned from experience. If you weed your garden thoroughly in spring, mulch with weed-free compost, and continue to pull weeds once a week through early summer, your garden should remain relatively manageable. When I go out weeding, I like to choose a spot and just start. I don’t focus on how much I need to do, or pause to figure out what is left to do, or how much has been done. I just stay right where I am and focus on the ground in front of me. This helps me to stay in the moment and to do a good job. I just grab the right tool and dig in. In my experience, removing most annual and tap-root weeds is easier either during or after a good rain. Conversely, I find that most running-root grasses are actually easier to remove when the weather is dry. A three pronged claw is great for teasing out the roots of running weeds like white clover, but a fork is the tool you want for tap-roots like dandelions. And remember that all garden chores are easier to do when the temperatures are cool and the sun is low. 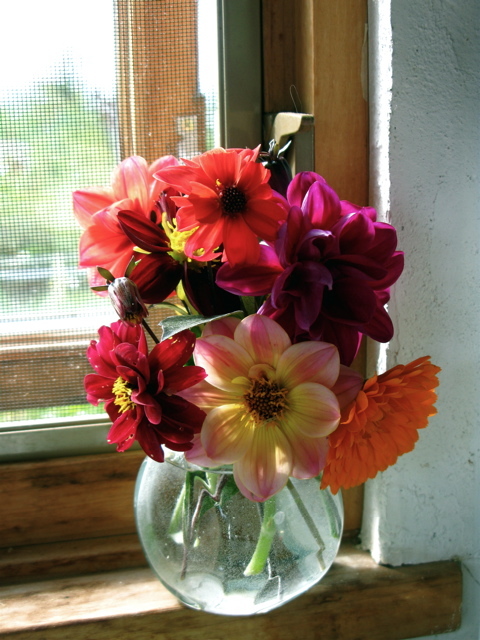 Try getting up a bit earlier and to start at first light, or make your weeding a sunset chore. The mid-day heat isn’t good for you, and it contributes to fatigue. 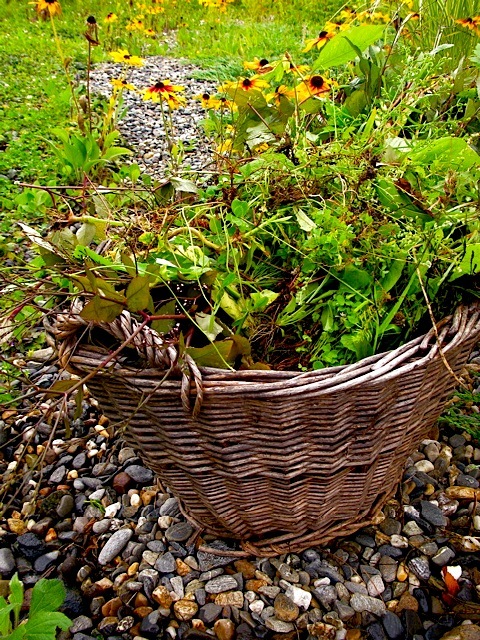 Light weeding baskets (I recycle old wicker laundry baskets), wheelbarrows and garden carts are really helpful with many garden tasks, including weeding. Be sure your handles are sturdy and keep tires firm with air. Rabbitfoot clover (Trifolium arvense), is an annual spread by seed. 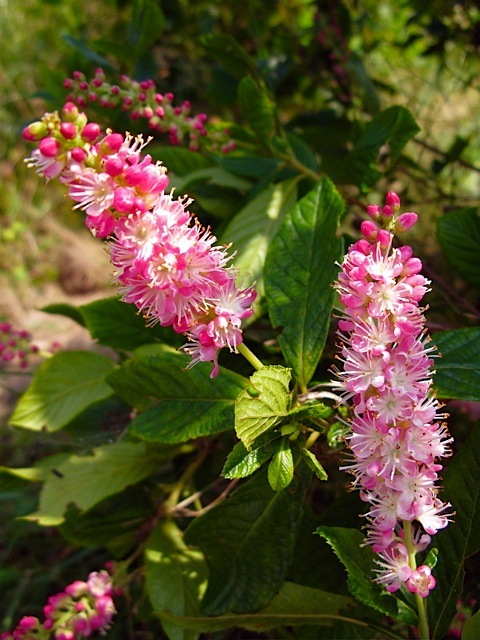 I love seeing this plant in drifts along the roadside. It’s so pretty. 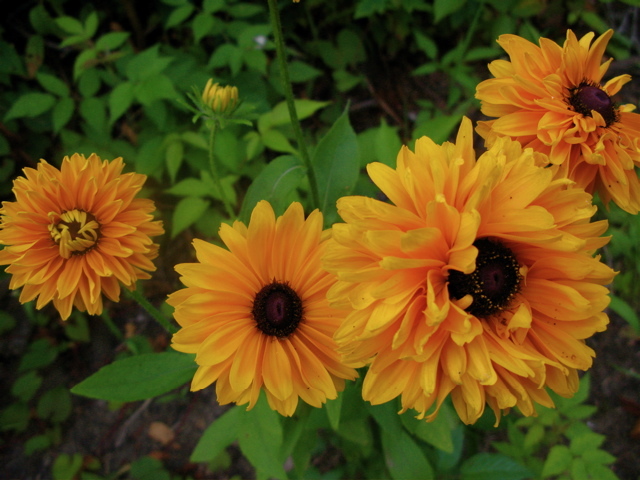 But again, it doesn’t belong in my perennial garden. 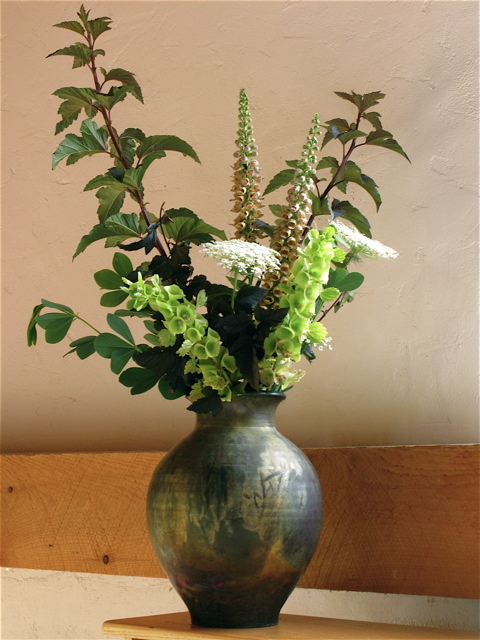 Over time, I have learned to really enjoy the intimate garden experience that is weeding. Getting right smack in the middle of things brings me closer to the subtle smells, sights and sounds of the garden. I love working beside the bees, and getting buzzed by a curious hummingbird. The smell of wet earth, fragrant foliage and flowers is incredibly relaxing to me. And as an artist, I find that the shapes and textures of many ‘weeds’ are actually quite inspirational to my work. Sometimes, instead of tossing the contents of a basket straight into the compost heap, I find myself picking out bits of rabbitfoot clover, burs or thistle. 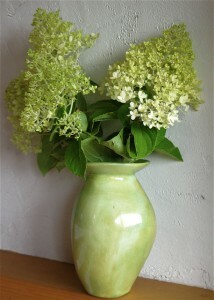 I bring these garden remnants inside to enjoy close-up in a bud vase. Hey, beauty is where you find it. To me, gardening is about my relationship with nature, and I find mother nature endlessly fascinating. And so I have come to see that gardening is weeding. And weeding, at least for me, is pretty close to Zen. The dog-days of summer have arrived, and it sure is hot outside today. Gardening is hard work, and it’s easy to over-do it on a sweltering day. Digging, weeding, dividing, lifting, mulching: all physically demanding tasks. In the summer, I always protect my head and skin with a straw hat, light colored clothing to reflect the sun, and regularly applied sunscreen. When temperatures rise and the mid-day sun is strong, even these precautions aren’t enough, and it’s best to take a break in the shade. On hot days, I try to schedule my physical work for early morning and late afternoon hours. And in mid-August, I can usually be found in my office breezeway, designing gardens and researching plants for fall projects. Retreating to the lake is tempting, but I have much work to do this week. So, after hearing the forecast, (humid, with temperatures in the 90’s), I decided to make up a batch sun tea to chill in the ‘fridge for later. I know that this icy-treat will help keep me focused on my client’s designs, paper work and planning later this afternoon. 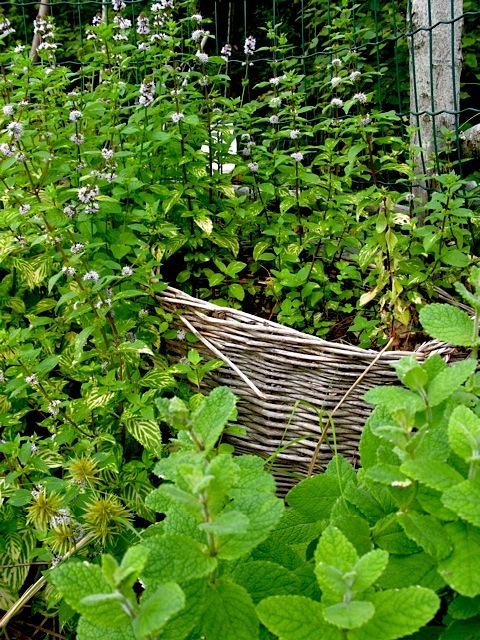 Early this morning, I gathered fresh peppermint, (Mentha piperita), and lemon balm, (Melissa officinalis), from the herb garden and mixed up a pitcher of my favorite summer-time refreshment, Lemon-Mint Sun Tea. Making sun tea with fresh herbs is one of those simple-pleasures I learned in childhood and have enjoyed every summer since. 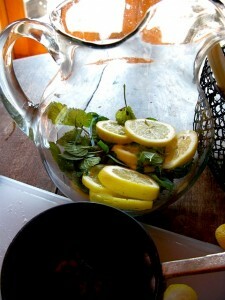 I have tried many recipes for sun tea, but this one with refreshing mint and lemon has become my favorite. Peppermint and lemon balm are easy to grow perennial herbs, (in fact peppermint can become aggressive in gardens, so be careful where you site it), and they are endlessly useful in the kitchen. 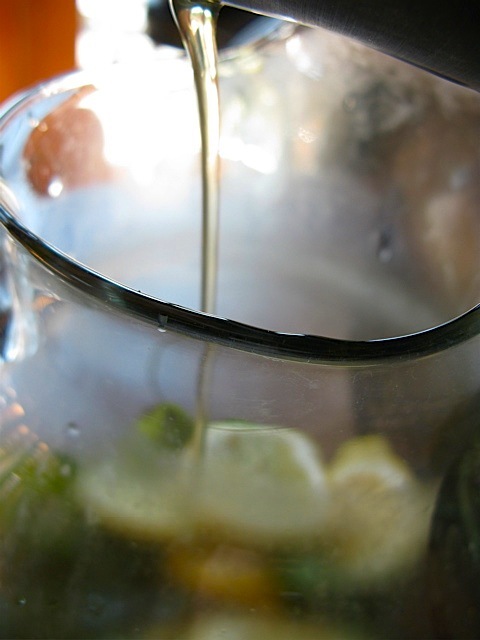 If you have never made sun-tea, you have no idea what you are missing. Give it a try! All you need is a sunny day, a clear glass container, (gallon-size is best), fresh water and some tea bags, (black, green or herbal all work fine). Variations on the theme are limited only by your imagination. 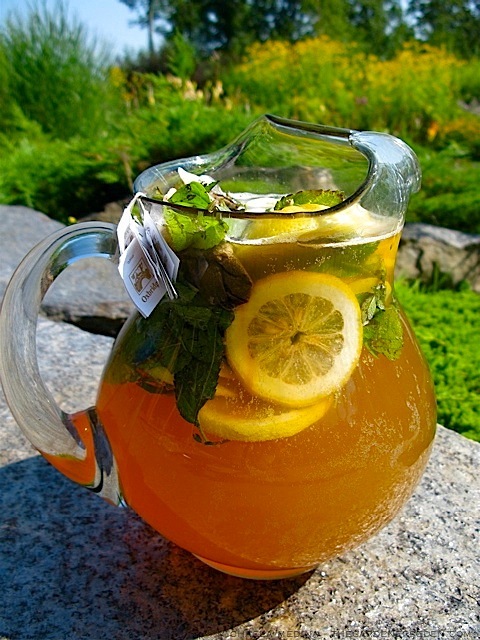 Sun tea can be flavored with a wide variety of herbs, from lemon verbena and mint to thyme and lavender. Fresh fruit, such as oranges, limes and lemons can all be added to sun tea to enhance the flavor. I often use lemons, since I usually have them on hand and I love their flavor in tea. To make Lemon- Mint Sun Tea, (recipe below), I crush fresh mint and lemon balm leaves and toss them into a clear pitcher with three or four sliced lemons. I like to use black tea with this recipe and I tie 5 bags from the handle of the container to dangle in the mix. Some people prefer to simply toss the bags in and fish them out later. Either method works fine. Sun tea can be made without sweetener, but I like to add a simple syrup made with honey. Pouring the boiling syrup over the crushed herbs and lemons helps to release their oils into the tea, and the fragrance is wonderful! I muddle the ingredients a bit with a wooden spoon, fill the pitcher with fresh water and set it outside on my stone terrace for a few hours in the full sun. Once the water has turned a deep honey-gold, I remove the tea bags and place the pitcher in my refrigerator for a couple of hours to chill. By mid afternoon, my tea will be ready to pour into a tall glass filled with ice, garnished with a wedge of lemon and a few sprigs of fresh mint. 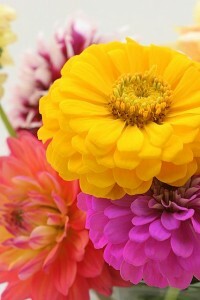 Enjoy the warm weather and remember to take it a bit easy when gardening on hot days. 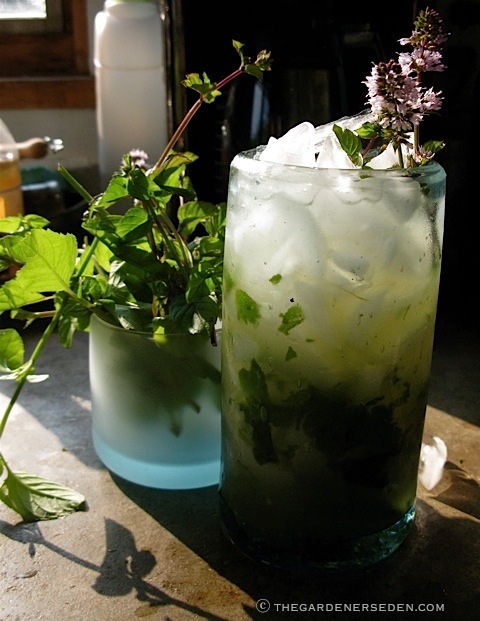 Try and make the time to enjoy the liquid pleasures of a bountiful herb garden. 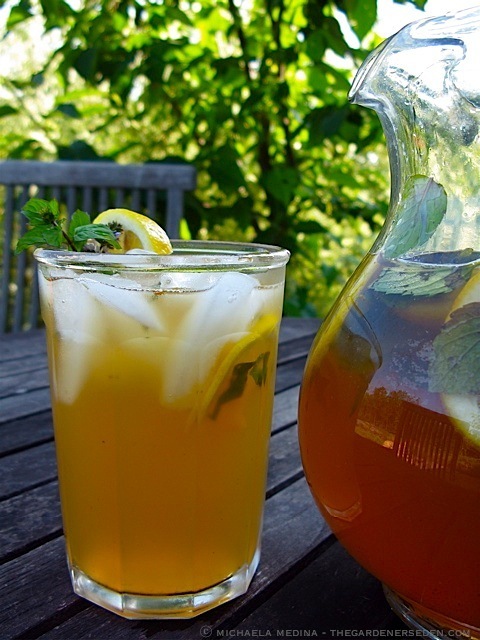 Relax in the shade with a cool glass of Lemon-Mint Sun Tea. 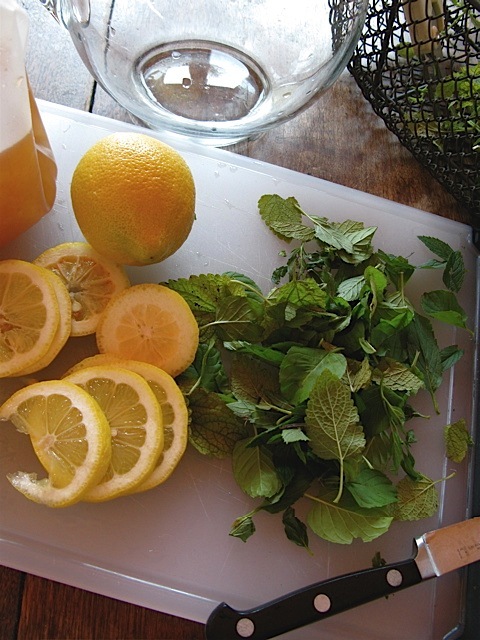 Lightly crush mint and lemon balm leaves and thinly slice three or four lemons. Toss these ingredients into an empty 1 gallon, clear glass pitcher. In a small saucepan, combine 1/2 c honey and 1/2 cup water and bring to a boil over medium high heat while stirring. 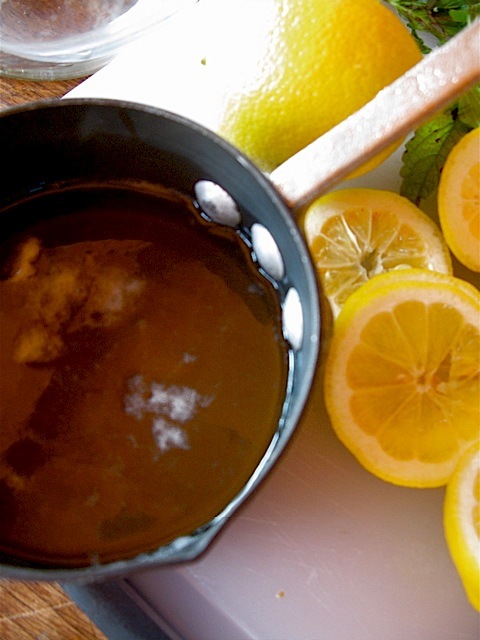 Remove saucepan from heat and slowly pour the hot syrup into the pitcher, coating the herbs and lemon. Tie 5 tea bags to dangle into the pitcher, or toss the bags straight in. Slowly fill the pitcher with cold water and stir. 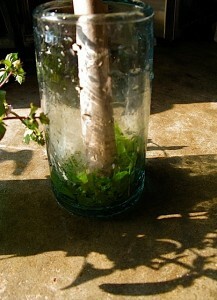 Set the pitcher outside in the full sun for 2-4 hours, (I cover mine at the top to keep out insects). Bring the pitcher back inside and remove tea bags and chill in the fridge, (with serving glasses for a frosty experience), until cold. Fill chilled glasses with ice and pour in the sun tea. 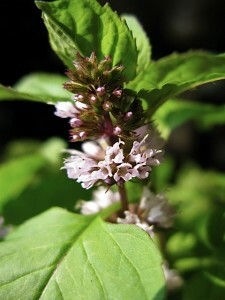 Garnish with a sprig of mint and/or lemon and serve. Is it just me or does it feels like summer is passing too quickly this year? Here we are at the full Sturgeon Moon, (rising tonight, August 5th,at 8:56 pm EST), and it seems like the warm weather is just getting started in New England. Many song birds begin to flock in August, and some of them even start their migrations south. I associate the Sturgeon Moon with the departure of my beloved wood thrush, and the final weeks of other ephemeral pleasures here in Vermont. Perhaps because we endured such a rainy June, (the rainiest on record in New England), I feel an urgency to soak up as much of this short season as possible, before it fades away. By late summer, many gardeners begin to ask me how to breathe life into their tired perennial borders. 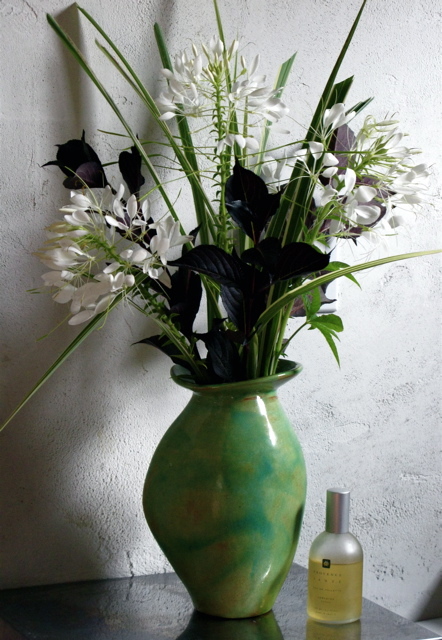 What can I add to jazz up my lilies? Everything has passed by already, how do I add more color to my backyard? I start to hear these familiar questions in late July and early August; when flower beds have become neglected and weedy, wilted and lack-luster. Garden projects that began in May with a great deal of enthusiasm often fall to the wayside by July. Weekends fill up with family picnics, weddings, back to school shopping, days at the beach and vacations. It’s hot outside. 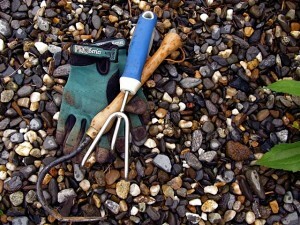 No one really wants to think about digging in the garden, and it really isn’t the time for planting anyway. No. Enjoy the summer while you can. But let me stir your imagination while you make some notes for the future. By the time the weather cools and your weekends loosen-up, garden centers will be advertising fire-sales, and many perennials will be available for a fraction of the cost. Look at your fading garden with a critical eye, and make a list. What you add to your garden in early September will reward you richly next summer. Start by considering all the possibilities. Let’s begin with some late summer classics. 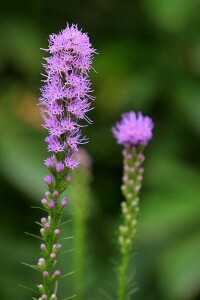 By boldly pairing lavender Liatris, (gay feather), with orange-yellow daylilies, a gardener can reap the benefits of contrasting texture and opposing color. 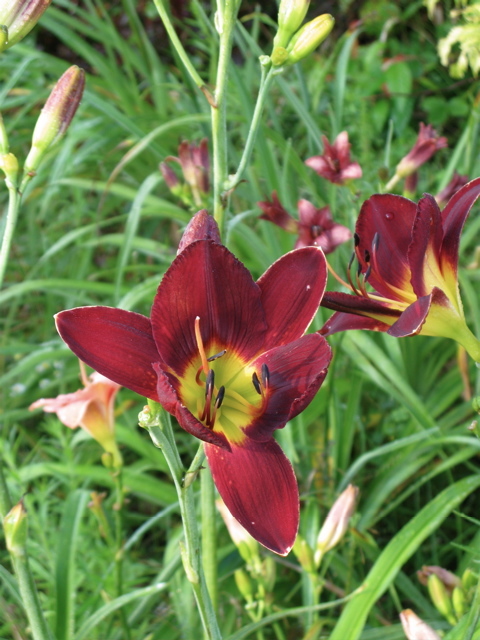 One year I received a generous White Flower Farm gift certificate, which I used to purchase several daylily collections, including their beautiful and reliable Woodside mix. The bold oranges, reds and bright yellows look stunning in combination with Veronica ‘Goodness grows’ or native obedient plant, (Physostegia). My gardens are also home to some spectacular named daylily cultivars from Olallie Daylily Gardens. 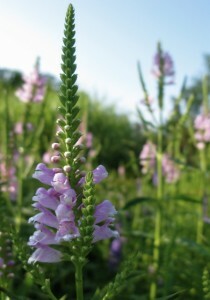 Lavender-rose colored obedient plant, (Phystostegia ‘Bouquet Rose’), combines well with every lily hue, hot to cool. 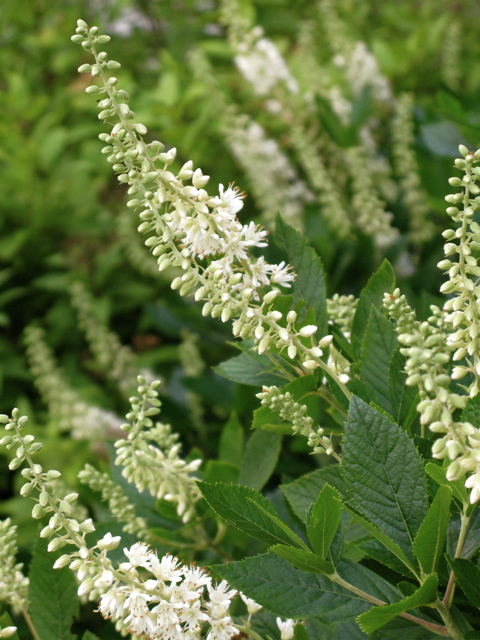 Similarly, North American native bee balm, (Monarda), strikes a harmonious chord when settled into the garden near Russian sage, (Perovskia atriplicifolia), where they are both frequented by butterflies, bees and hummingbirds. 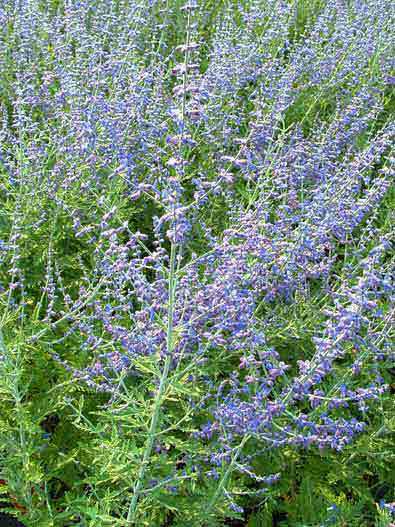 Blues are much less common at this time of the year, but lady bells, (Adenophora confusa), and another bee and butterfly favorite, hyssop, (Agastache), also provide some violet-tinted blue to the garden. And then there is the beloved classic garden phlox. Without a doubt, fragrant phlox is a memorable scent to be enjoyed at its peak on still mornings and humid summer evenings. Variously colored and charmingly old-fashioned, garden phlox should be positioned where it receives ample moisture and airflow to avoid powdery mildew, making it an ideal partner for moisture-loving joe-pye weed, (Eupatorium). 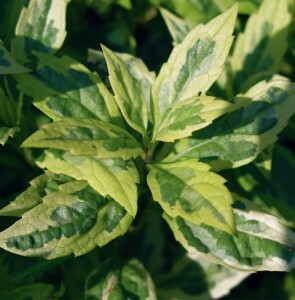 Some garden phlox boasts creamy white and green variegated foliage, beautiful when contrasted with Eupatorium rugosum, ‘brunette’. 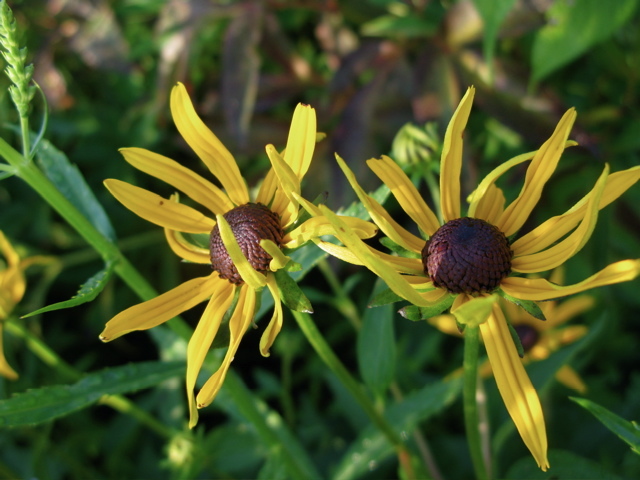 And no summer perennial garden seems quite complete without old-time favorite, black-eyed Susan, (Rudbeckia fulgida x sullivantii); a fail-safe performer in my garden every summer. With so many varieties to choose from, there is a rudbeckia to suit every garden. A stand out in borders, free-seeding Rudbeckia hirta, ‘Becky mixed’, adds a bit of whimsy along the wildflower walk here at my home. Every spring I have to smile as seedlings appear at random, planted here and there by the wind; emerging from the most unlikely locations, even straight from the gravel path. Rudbeckia and her cousin Echinacea, (commonly known as coneflower ), are important, natural food sources for honey bees. 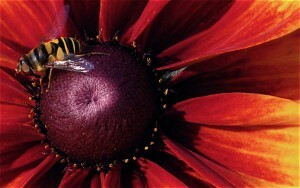 I am quite certain if they could ask us, the honey bees would request gardens overflowing with native plants. Personally, I am happy to oblige. Echinacea purpurea is a lovely garden plant. When viewed up-close in a vase, the flower is every bit as dramatic as a Georgia O’Keeffe abstraction. With a costume of orange, spiked cone center piece and bold fuchsia rays pointing out in all directions, it’s hard not to stare at this drama queen. 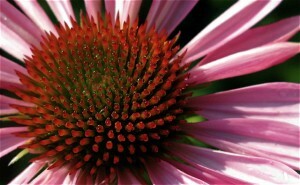 And for cooler spots in the garden, Echinacea purpurea ‘White Swan’ or ‘Fragrant Angel’ are perfect for lending a touch of elegance. This year I have also seen a new double-flowered white form of Echinacea named ‘Coconut Lime’. It is definitely on my list. 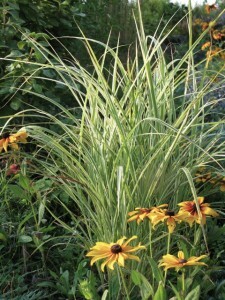 Although they have become more popular of late, ornamental grasses are still largely underutilized in perennial borders. Miscanthus sinensis ‘Variegatus’ and ‘Morning Light’ are two of my all-time favorites, and the splotchy green and yellow stripes of Miscanthus ‘Zebrinus’ make a bold statement when paired with primary-colored coneflowers and violet phlox. The contrasting hues and narrow blades of variegated ornamental grass catch the light and play off many perennials and nearby shrubs. All tall grass has a lovely way of swaying in the breeze, but none quite so poetically as buff-tasseled Calamagrostis x acutiflora ‘Karl Foerster’. Last year I positioned Karl along the edge of my wildflower walk, where he adds movement and a delicate shimmer to a solid grouping of Viburnum. Further along the path, fountain shaped Miscanthus sinensis ‘Morning Light’ adds sculptural elegance where the casual meets the more formal entry to my home. 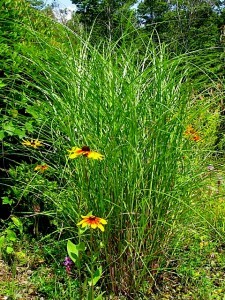 Foliage plants such as ornamental grass, along with structural shrubs, help to create the framework for an entire garden. 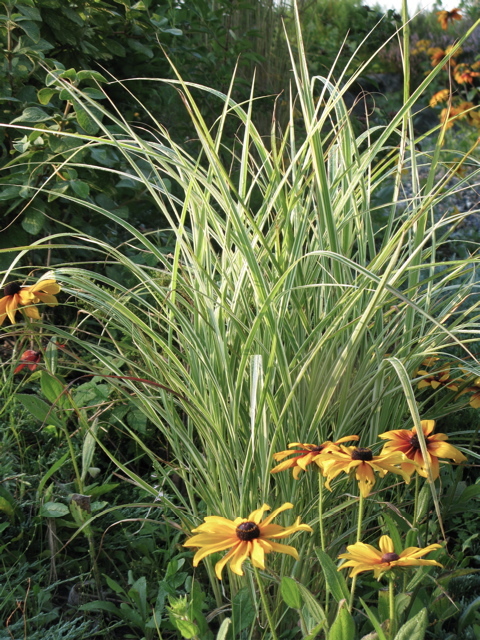 As spring and summer plantings fade and make way for mid-season and early fall perennials, the statuesque form, alluring texture and seductive movement provided by ornamental grass can be key to anchoring a great perennial garden design. 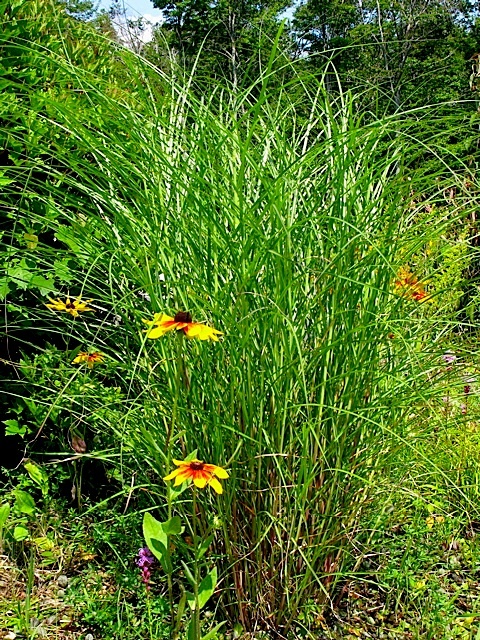 Tall grass can also be used as a living screen, concealing unsightly necessities such as compost bins, plastic vents and air-conditioning units throughout the growing season, and into winter. 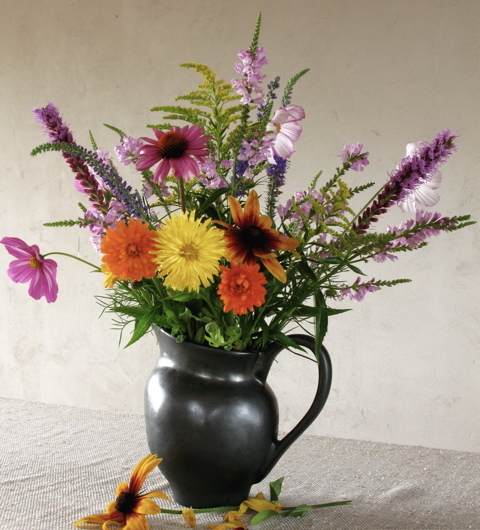 More experienced gardeners may have already mastered the art season-spanning bloom in their perennial gardens. But even for the most versatile designer, there are always new ways to visually explore the far-end of the seasonal bloom-range. Filipendula ulmaria ‘Variegata’ as well as the lovely Kalimeris ‘Geisha’ and ‘Variegata’ are knock-out foliage plants throughout the garden season. And as an added bonus, these plants provide pale blossoms to cool some of the hotter-hues in the late season border. One of my new garden favorites, yellow wax-bells (Kirengeshoma palmata), adds a pale golden hue to the garden in August, contrasting with the burgundy-violet foliage of closely planted bugbane, (Cimicifuga racemosa ‘Hillside black beauty’). Yellow wax-bells add interest to this spot before the wind-flower, (Anemone), and bugbane come into flower later this month. 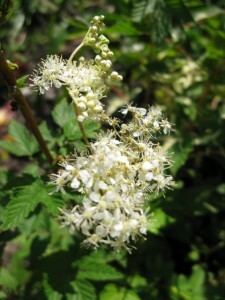 Other dark hued garden plants, including shrubs such as ninebark, (Physocarpus) varieties ‘Diablo’, ‘Summer wine’ and ‘Coppertinia’, are endlessly useful for bringing out the golden colors of late summer flowers. Eupatorium rugosum ‘chocolate’ and Heliopsis helianthoides ‘Sommersonne’ is a favorite contrasting, late season combination along my walkway. Combining late season perennials with neutral-hued foliage plants such as Artemisia schmidtiana ‘Silver mound’ helps keep the August garden from becoming too riotous and loud. 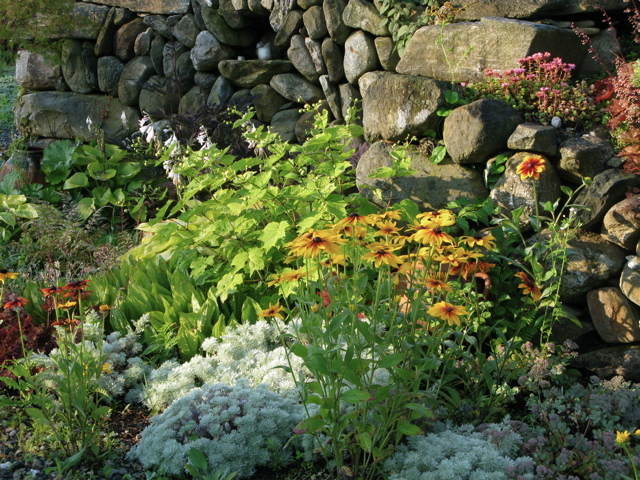 Spring and early summer blooming favorites, such as coral bells, (Heuchera), and lady’s mantle, (Alchemilla mollis), continue to play an important role in the garden by adding color and texture, holding a perennial bed together at the edge. Gardens designed to include foliage plants such as these rarely look tired, even during lulls in the bloom season. While I am fairly certain that my schedule will not be be easing up any time soon, I will continue to seek out the pleasures of high summer this month. 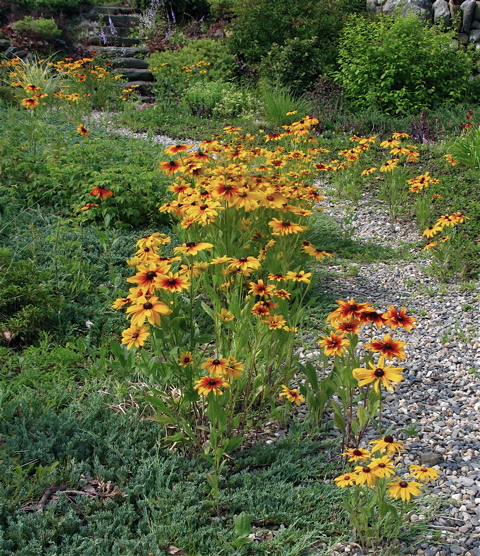 This week I promise to make time to stop and enjoy my late summer garden as I pass through the wildflower walk each morning, and stroll along the long perennial border on my way to the vegetable garden. I too will be making notes for fall planting this year. Perhaps this cool, wet season in New England will reward us with a warm and vibrant autumn. But for now summer reigns, if but for a few brief weeks, here in my garden home. Enjoy tonight’s full Sturgeon Moon. Happy Gardening. You are currently viewing the archives for August, 2009 at The Gardener's Eden.